The only thing better than buying Lilly Pulitzer for yourself is buying Lilly Pulitzer on sale, am I right? I love a good deal, and my husband loves it even more. (He’s a sweetheart, but he doesn’t get my clothing obsession and cheers when I find things at great prices.) 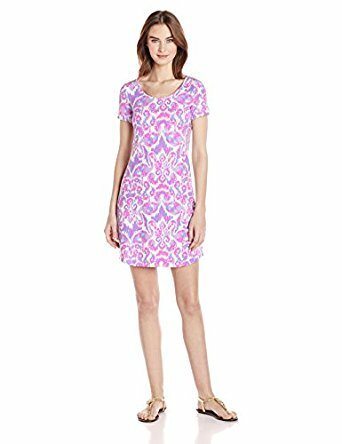 I’m always online, so I figured I’d make a list of some of the best deals on Lilly Pulitzer that I’ve seen while online shopping! 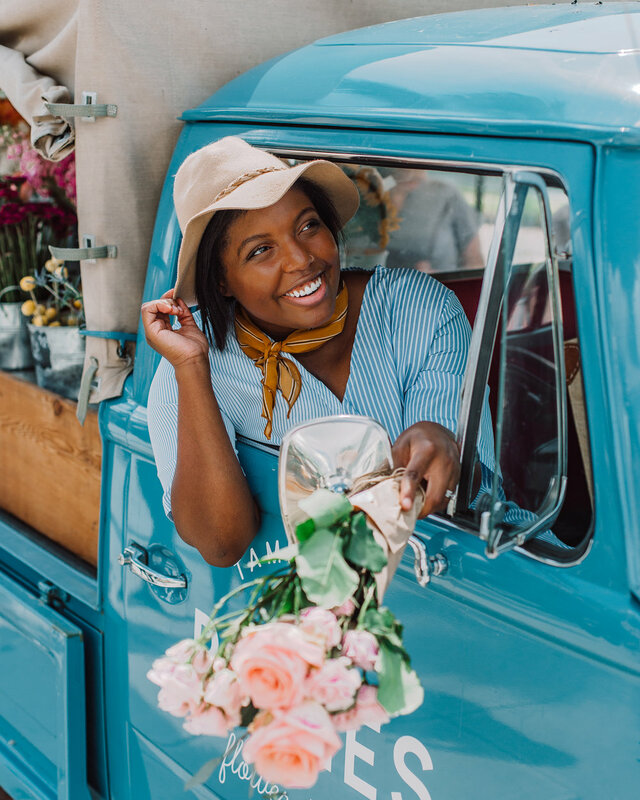 Whether you’re shopping for yourself or a friend, these deals can’t be beat. As Donna and Tom say on Parks and Rec, TREAT. YO. SELF. Sparkling Sands Essie Dress: This dress is on sale in a range of sizes. Even though it’s not sleeveless weather in most parts of the country, it makes a perfect date night dress for those spring and summer days. 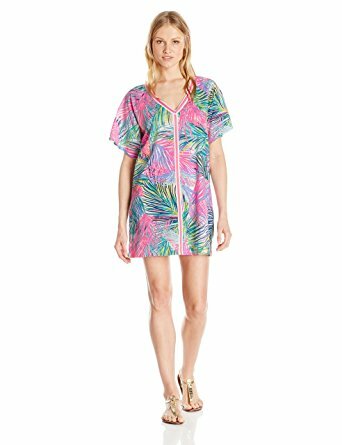 Bonita Coverup: Lilly often markets items as beach cover-ups even though they’d be perfect as tunics, dresses or even shirts. The Bonita cover-up is available for a great price –– don’t let the name stop you from buying! 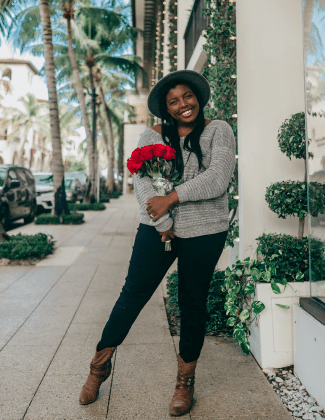 Arbelle Romper: Y’all, rompers are hopeless on me, but seeing THIS romper on sale has me ready to give the romper life another try. Kalissa Tunic: I’m obsessed with the sleeve and neckline detailing on the Kalissa tunic, so I’m thrilled to see it available for less than retail! Dee Top: If you’ve been looking for a flattering top at a reasonable price, the Dee has you covered. 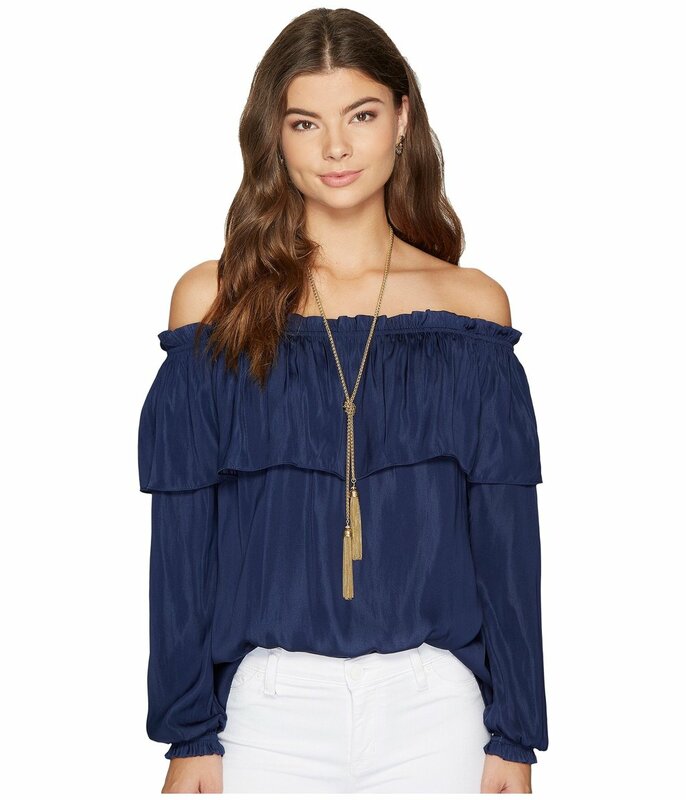 I love the off-the-shoulder detail on this blouse, and I’m sure you will, too. 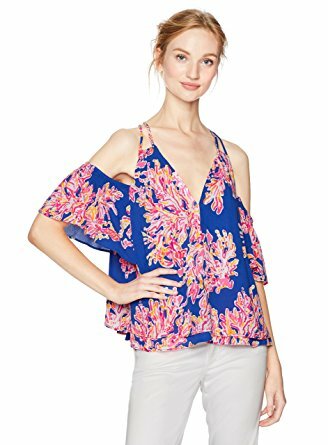 Elsa Top: If you’re a silk fan, you’re likely familiar with Lilly’s famous Elsa top. It’s a classic for a reason –– and it can’t be beat when it’s on sale in various patterns. Willa Top: The Willa is a godsend for those of us who can’t do tight tops (or don’t want to)! 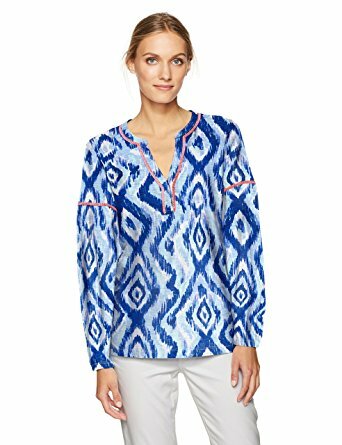 I love this top, and I’m surprised to see it for such a great deal in so many colors! Bellamie Top: This is another print I wasn’t sure about until I saw it in person. Now that I’ve seen it, I am in love. Get this before it sells out! Sophiletta Dress: The Sophiletta dress. I would marry this baby if I could. I bought it on a whim earlier this year, and it’s become one of my favorite dresses to wear out to dinner –– I always get compliments. Tammy Dress: The Tammy dress is another fave of mine. It’s thicker than a lot of Lilly dresses, so it’s perfect if you like your clothing a bit looser instead of clingy. Mila Shift: You seriously cannot go wrong with the Mila shift. 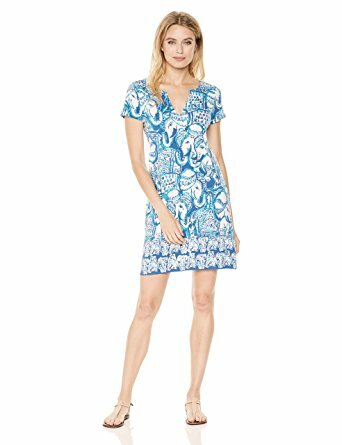 It’s a classic Lilly shift dress, and it’s on sale in a variety of patterns! Junie Shift: This color makes me think of all things elegant and girly, and I love that it’s named berry sangria! 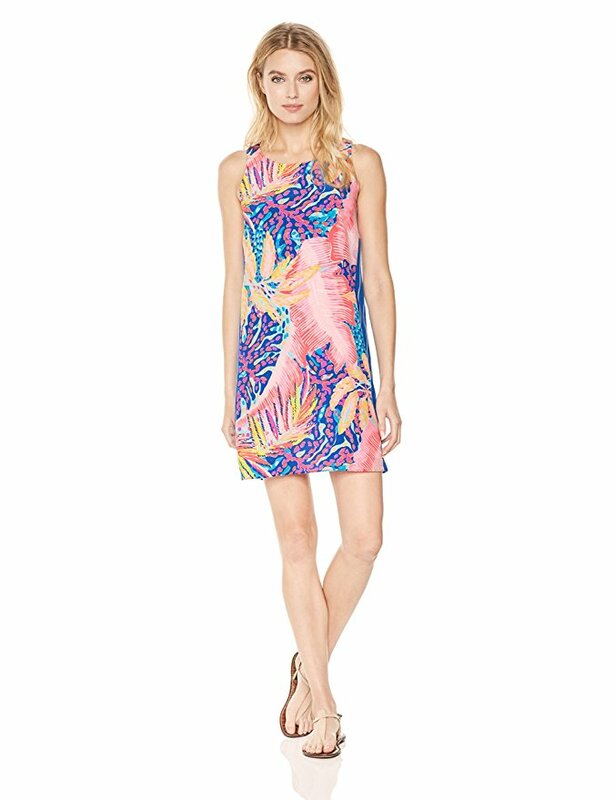 Marlowe Dress: The Marlowe dress can’t be beat –– it’s another classic Lilly piece that every Lilly Pulitzer lover needs. It’s marked down in a beautiful print, so don’t miss out! Jackie Silk Shift: The Jackie shift is so flattering, and the fact that it’s silk means it automatically feels glamorous. Definitely don’t miss out on this deal. What other deals have y’all seen floating around? !